Chop the pumpkin and cook until just tender. Set aside to cool. You can find organic baby beets already cooked in the fruit and vegetable section of the supermarket. Slice them up into slithers and set aside. Place the salad leaves into your serving bowl and add to this the cooled pumpkin, beetroot, sunflower seeds, slithered almonds. Gently mix these together, sprinkle with the sesame seeds and drizzle with your dressing (balsamic vinegar). 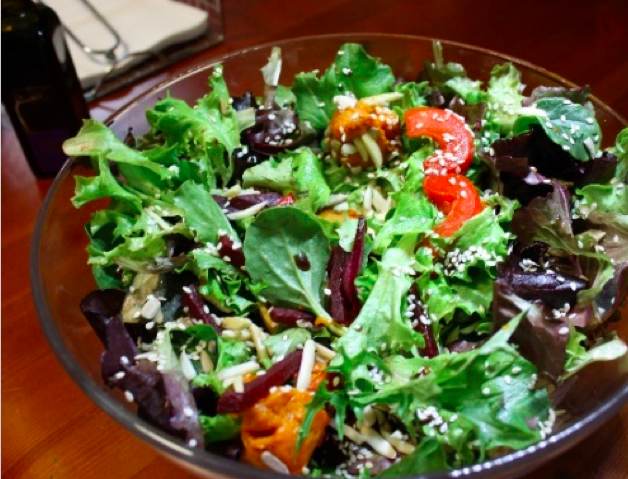 Refreshing and tasty salad to share.